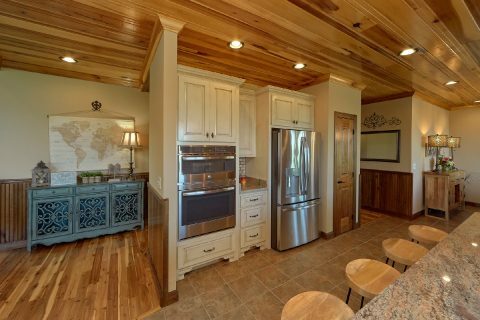 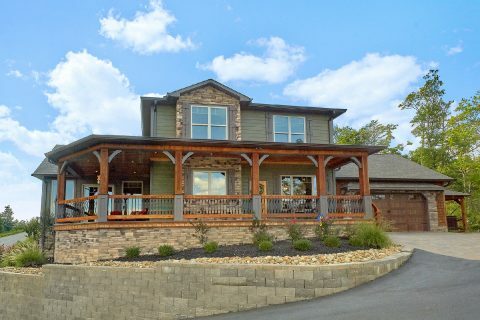 Come experience "2nd Choice," a beautiful Walden's Creek area vacation home that's only 7 miles from the heart of Downtown Pigeon Forge! 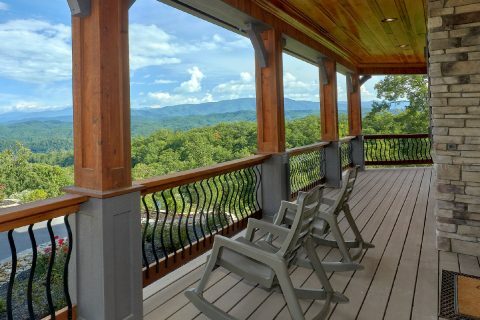 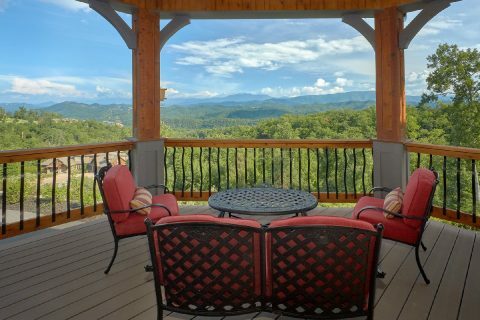 Not only does this vacation rental keep you close to top local attractions like Dollywood and The Island, but it also boasts a lovely view and a peaceful resort setting to enjoy on your getaway! 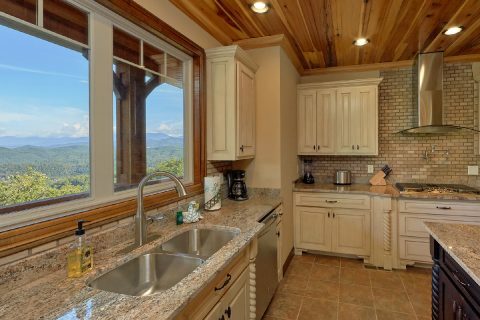 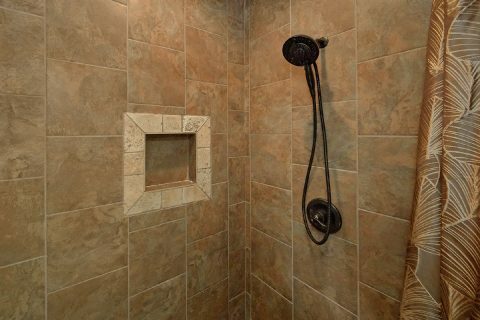 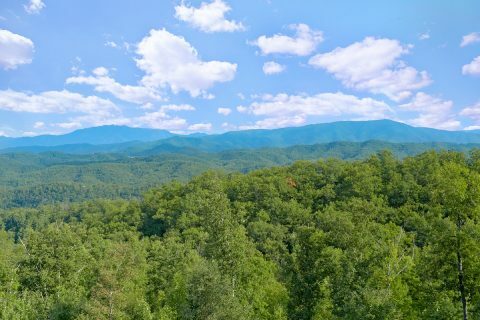 As soon as you arrive at "2nd Choice," you'll be glad you reserved such a quality rental for your stay in the Smokies. 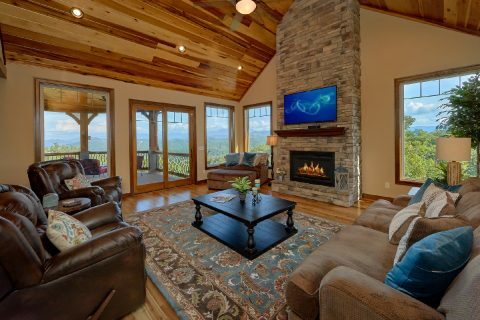 The main floor features an open-concept floor plan complete with an inviting living room with a gas stone fireplace, leather furnishings, and a 50" television. 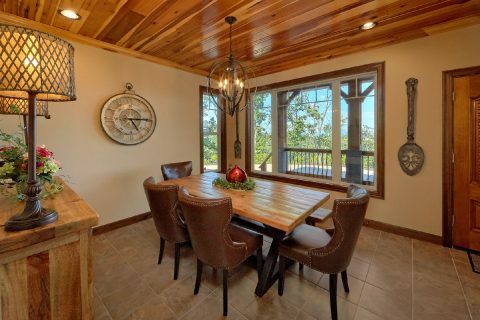 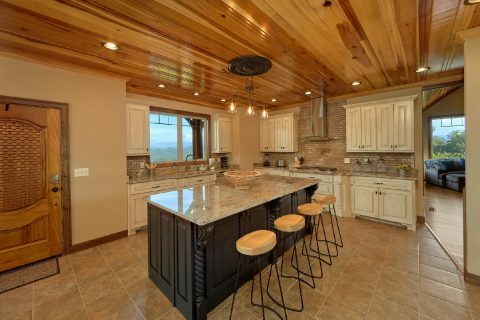 Nearby, your rental's kitchen with granite countertops, a kitchen island, a gas stove, and a dining room table for 8 is the perfect place to make delicious meals during your vacation. 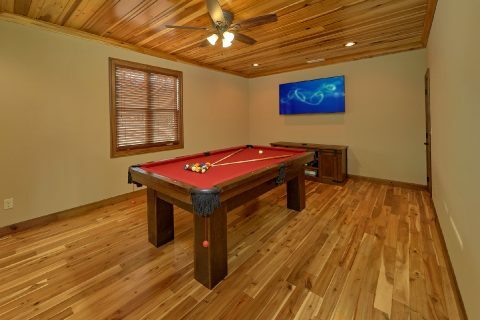 For some fun with family and friends, you can always enjoy playing billiards in the upstairs game room with a pool table and a 65" television. 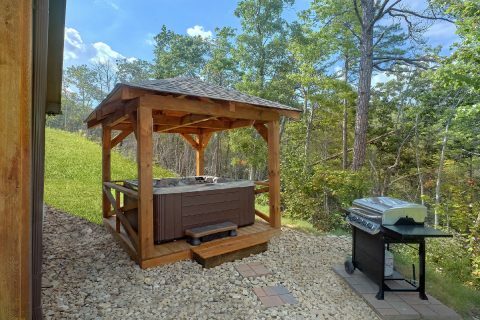 For unwinding in the great outdoors, simply sit out on the deck with a nice view or sit back in the hot tub. 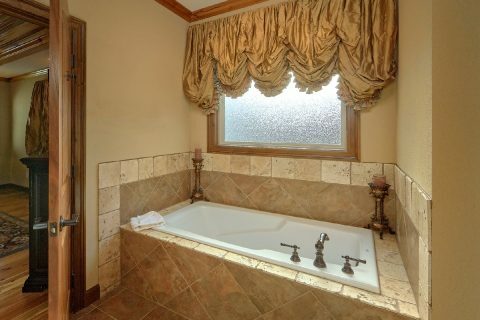 Once it's time to get some rest, you can look forward to sleeping in one of this rental's 4 bedrooms. 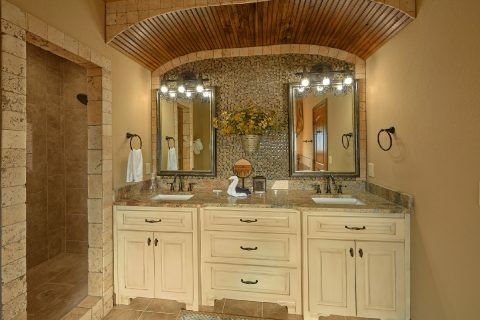 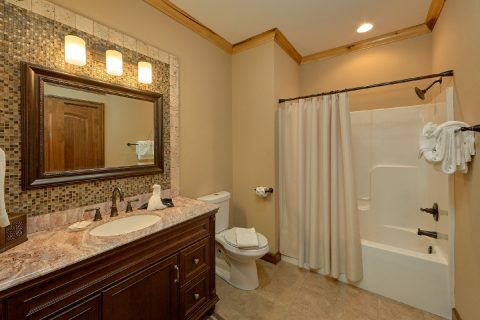 On the main floor, you'll find a master bedroom that features a king bed, a 50" television, and a bathroom that boasts a walk-in shower, jacuzzi, and double sinks. 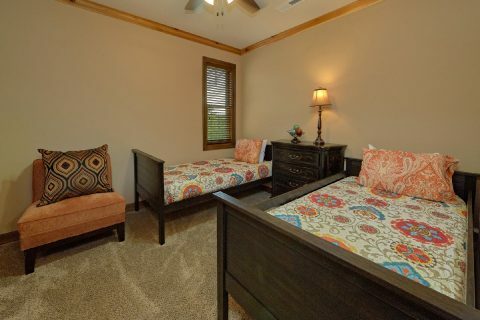 On the upper floor, you'll find 3 more bedrooms. 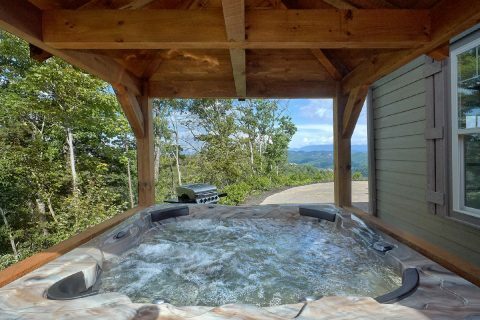 Two of these come complete with a king bed, a television, and a full bathroom, while the third bedroom provides two twin beds. 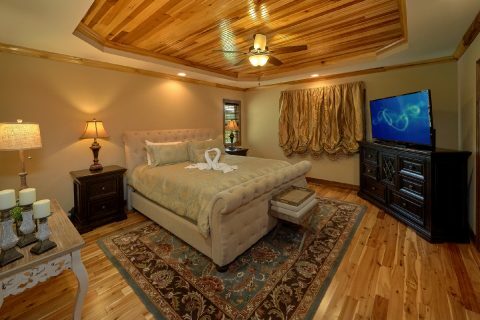 Altogether, "2nd Choice" sleeps up to 8 guests in comfort. 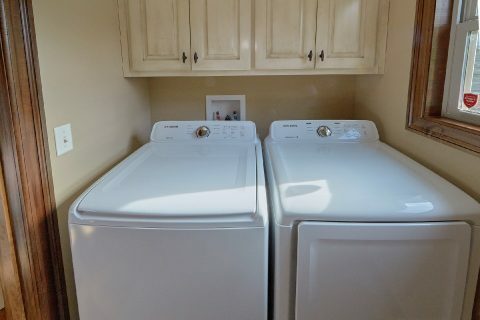 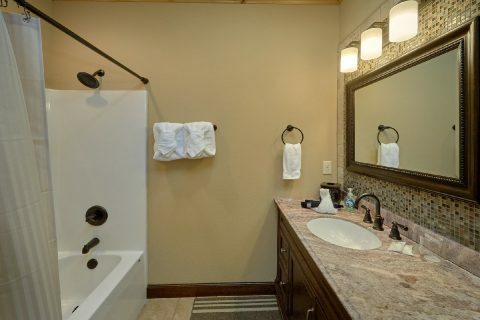 Lastly, this premium rental also has practical amenities like a laundry room with a full-size washer & dryer, a gas grill, WiFi Internet, and a 2 car garage to use during your getaway. 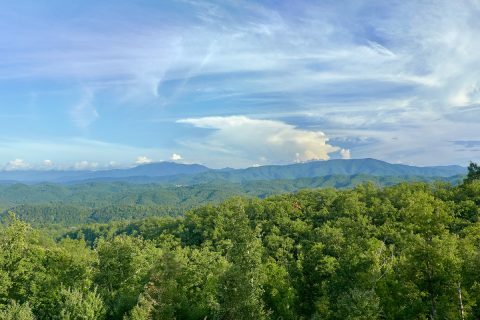 Reserve "2nd Choice" today with Cabins USA Gatlinburg and you'll save 15% on your nightly rate in beautiful Sevierville, TN!